There were a number of reasons to believe that, too. The original AirPods are quickly closing in on being 2 years old, and there were plenty of big Apple events to release an update. But it didn’t happen at Apple’s September iPhone reveal or October’s iPad and Mac event at a seemingly logical venue, the Brooklyn Academy of Music. Even often reliable Apple analyst Ming-Chi Kuo has reportedly said before the October event that new AirPods with a wireless charging case and “Hey, Siri” functionality to summon Apple’s assistant with just your voice were in the works for later this year or in early 2019. All this adds to the speculation, and to the fears of those of you looking to buy AirPods this holiday season, that something newer and better will be out a couple of weeks after you make such a purchase. But here’s why we think you can rest a little easier. 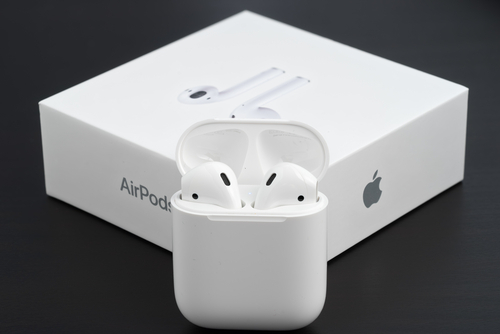 It’s not unheard of for Apple to ship a new product after Thanksgiving – the original AirPods, after all, were delayed several months and did not ship until early December in 2016. Even so, for the company to introduce a new pair of buds this late, doesn’t make sense, particularly as people begin to do their holiday shopping this weekend. “If Apple was updating the AirPods before the holidays, I would have expected the announcement to come at either of its *two* fall events,” writes Avi Greengart, research director for consumer platforms and devices at market research firm GlobalData, in an email to USA TODAY. While Apple has long been rumored to be prepping new AirPods for the not-too-distant future, it’s just as possible that the company will introduce them in early 2019, as some other rumors speculated. According to a Bloomberg report from June, a major AirPods revamp is expected next year with improved water resistance to sweat and rain, health tracking and a wireless charging case. In the world of technology, there is always something newer, faster and better around the corner. So if you’re looking to buy some AirPods this holiday season what should you do? Using a price protection credit card is one option. If Apple does, indeed, introduce new AirPods, it’s plausible that the current ones will be discounted. What kind of discount it will be and exactly how much your credit card will cover will vary, so you will want to look this up before you buy. This can, however, provide some solace over concerns you might be overpaying by buying now. Also, make sure to be aware of return windows for the store you’re buying the AirPods from and keep the receipt. Whether it’s 14 days or 30 days, having that information will give you some wiggle room and, perhaps, some peace of mind in the event Apple does drop some more new gear before the calendar turns to 2019.